One of the last things a home or business owner wants is a termite problem. Termites cause over $5 billion worth of damage to homes in the U.S. each year. Even a small colony of termites can consume a foot of a two-by-four piece of wood in just five short months. Don’t let a termite problem cost you. If you suspect your home or business has termites, give us a call so we can take care of the problem for you. We will even work to prevent any termite issues in the future. Not sure if you have a termite problem? Worried about the possibility of termites eating away at the structure of your home or business? Don’t hesitate to contact us for an inspection. You will sleep more soundly at night knowing your home or business is termite-free. Many tasks make great do-it-yourself projects. 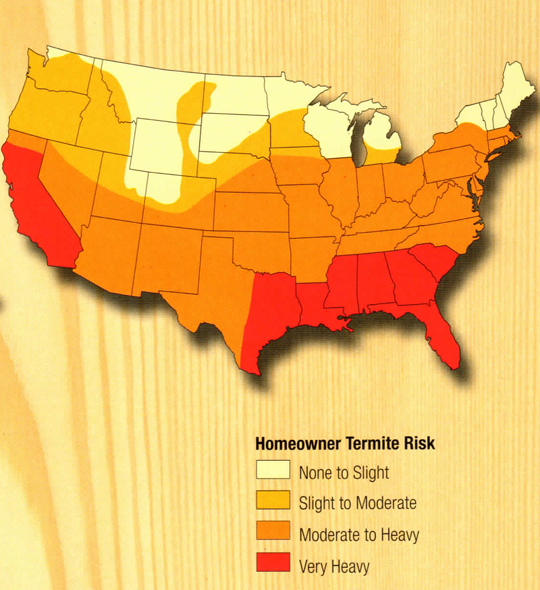 You may not want termite control to be your next big DIY, however. Improper use of termite control products may result in continued termite problems or cause permanent damage to your home or business. Instead, contact our professional technicians to do it for you. Our technicians are registered professionals who have considerable experience carefully dealing with termite problems in a variety of home and business types. We know you care deeply about your home or business because it is more than a building to you. Our registered technicians will treat your home or business just as if it were their own. Knowing what to expect from your termite control service is the first step to putting your worries about a termite infestation to rest. During our first visit, a trained inspector will visit your home, searching for signs of a termite problem. This inspector will draw a graph of your property. The graph is an essential tool which will be used to determine the best points of administration of our termite control product and potential termite entry points. Before the inspector leaves, you will receive a quote for the cost of the treatment. Before returning to your property, a team of four to five registered technicians will use the inspector’s graph to strategically plan how to best treat your property. You can rest assured that our team will arrive properly prepared for our second visit with the necessary tools to administer our termite control product of choice: Termidor 80 WG. Termidor is a termiticide that is undetectable to termites; they cannot see it, taste it, smell it or avoid it. 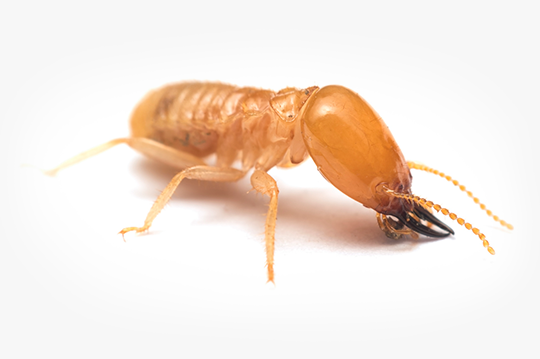 When a termite comes in contact with Termidor, it carries it to other termites as it goes about its daily routine, effectively killing off the population with a product that is safe to you and your family. The product is applied by drilling into the slab foundation and administering the Termidor liquid along the foundation walls. Termidor 80 WG is one of the best termiticide products on the market and will keep your home termite free for 10 years or more. To ensure that we have done the best job possible and to make sure the termites never come back, we will conduct an annual renewal inspection every year after treatment. Worrying about a termite infestation will never cross your mind again. Don’t let termites destroy your beloved home or business. Let us destroy your termite problem, guaranteed. Contact us today to schedule your inspection visit and never worry about termites again. Every termite colony is centered around a king and one. Some colonies may even have more than one pair of king and queen. The queen assures the future of the colony by reproducing for the full of her life. Queen termites can live up to 30 years. Once termite eggs hatch, the babies are called nymphs. Thousands of eggs are laid by the queen yearly resulting in thousands of nymphs throughout her life span. Once hatched, the baby termites are considered to be in the nymph state. At this early age, the nymphs are divided into different groups: workers, soldiers, reproductives, and supplementary reproductives. Workers are the largest group in the termite colony. They do a very important job by finding food, building and repairing the colony and taking care of the other termites. Despite their important job, they are blind and wingless. They are usually found inside infested wood. Another important group of termites are the soldiers. These wingless, blind and sterile termites defend and protect the colony. The termites that have wings are considered winged reproductives are will eventually become swarmers. Once the swarmers have left the colony and completed their mission, they will lose their wings. After shedding their wings, each male and female pair up in an attempts to start their own termite colony. As the possible replacements for the king and queen if something should happen, these termite serve to simply help populate the colony. Bug-Off Exterminators, Inc. is a growing business. We are currently hiring Technicians, and Sales Professionals. Visit our Careers page to learn more. Bug-Off Exterminators is an Equal Opportunity Employer. © 2016, Bug-Off Exterminators, Inc. All rights reserved.